Finally the most awaited moment is come for Redmi 4 users and Redmi 4X users. 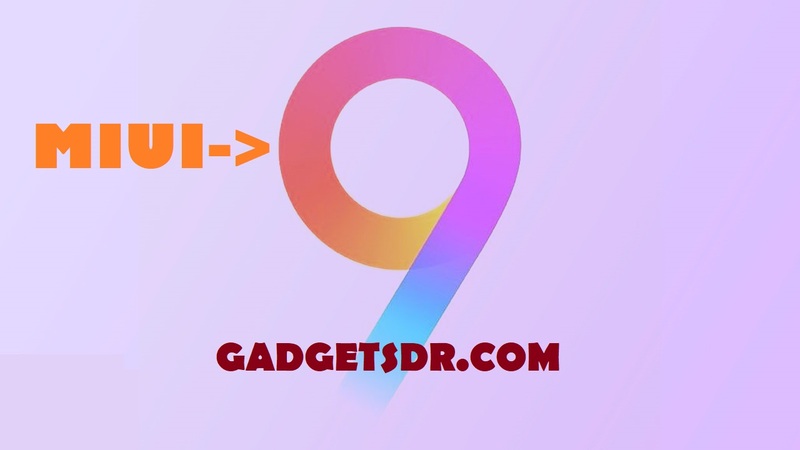 MIUI 9 Global Stable is here.Please Goto Settings – About Device – System Updates. Check your Device Available updates or note..I fnot Available so follow this method. New icons Available in MIUI 9. New animations for launching and exiting apps. Now you Can edit your Home Screen. Introducing New Split screen . Improved Silent mode triggered by the volume button. Improved readability for Messaging app. Now new Reading mode can turn on and off at sunset and sunrise automatically in redmi 4. Improved layout for search results in Contacts. merged Virus scans and payment scans into Security scan. Better blocklist rules with separated rules for every SIM card. Switch for turning Battery saver automatically when fully charged . New display formats for update logs in Updater App. New Search for apps in the Dual apps . New Quick ball goes back to the edge after 3 seconds of inactivity ..
Cleaner removes empty folders better now . Protection from unintentional tapping for Dial pad . Redesigned & Customized home page . Devices with Bluetooth profiles are hidden in the device list. Added the App lock step before unlocking using a new fingerprint for the first time. Protection from unintentional tapping for Dial is Now fixed. Contact search didn’t work properly for Ukranian,Russian is now fixed. Improved & new layout for search results in Contact. Increased system speed Very faster . Bluetooth profiles are hidden in the device list is now optimised. Home screen load too slow with Android 7.1.1 is now fixed. Apps changed Wi-Fi connection status without the user’s permission is now fixed. Mi TV/Mi Box can be added/shown on Mi Remote app after the update is Fixed. WhatsApp force closed in Split screen is Fixed. Fingerprint sensor works Very faster now . Music stayed in the Notification shade after exiting the app Is now fixed.. Messages with one-time passwords disappear is now fixed. Time in Messaging didnot change is now fixed. Female voice for English (Waiting for Wi-Fi) in the Notification shade is now fixed. Music player stopped working on the Lock screen after 10-15 minutes is now fixed in Miui 9. Now Folders open faster . Now Users can set & edit their main Home screen. Animated icons for selected apps in the default theme is now available. New animation for launching and closing apps . Couldn’t close Recents in some cases is now fixed. Brightness jumps to maximum when viewing photos is now fixed. Language support issues is now fixed. Improved design for Feedback app. Recording couldn’t be played regularly Fix. Launching speed is now faster. Downloads keep waiting when the connection is established & interrupted . Now Fix Urdu language issue in browser. Reading mode can turn on and turn off at sunset & sunrise automatically . Media volume can be turned back on using volume buttons in DND mode is now optimised. Floating notifications are now restricted by default in DND mode. Vibration response in DND mode. Dual WhatsApp ringtone issue is now fix. Fix Android security patch level. Adjustments for Recorder and Second space Fix . New cards for Cricket news,News, Horoscope, and Cricket matches . Now Available Russia Holiday cards. Introducing new football cards with the info about leagues and matches. New Better blocklist rules & separated rules for every SIM card . Now better Optimization Cleaner removes empty folders. New Switch for turning Battery saver when charged automatically. New Virus scans and payment scans into Security scan. virus scan result Optimization design Simplified and improved . Fix Scanner couldn’t work properly. New Quick ball goes back to the edge after 3 seconds of inactivity . Fix Google widget disappeared . New Mi Picks gets a new name and a new icon.